Karnal is emerging as one of the most promising real estate destinations in the NCR region. The city is well-connected to Delhi NCR via the NH1, and is priced cheaper than surrounding regions in NCR like Gurgaon. Karnal is an attractive investment destination for home buyers, as it has one of the best approaches to Delhi, as well as surrounding areas like Chandigarh and Punjab. The city has six-lane Chandigarh Expressway which ensures smooth connectivity. The Indian government has also planned a number of manufacturing and industrial developments here, which will create a number of job opportunities for people. The Real Estate in Karnal has is expected to see an influx of migrants, which will double the population of Karnal by 2025. The increasing population has led to an increase in demand for residential as well as commercial property in the area. The city is a convenient gateway to Haryana, Punjab, Uttar Pradesh, and Himachal Pradesh, which makes it an attractive destination for home buyers. 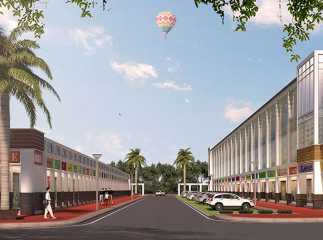 It has a number of social and civic amenities including multiplexes, shopping malls, hospitals, hotels, etc. 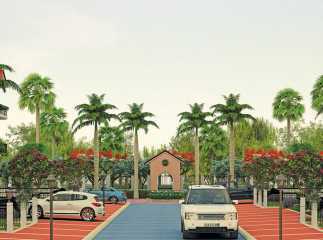 A number of private developers have launched there projects in Karnal, propelling the city into a new real estate orbit. With the upcoming Regional Rapid Transit System (RRTS) along the Delhi-Sonipat-Karnal corridor; the area will see improved connectivity with Delhi NCR. This is India's first high-speed train project, which will run at 200km per hour that will connect Karnal with Delhi. The city has also been funded under Rajiv Awas Yojana to make cities including Gurgaon and Faridabad slum-free. The area is well-connected to all areas, which is one of its biggest attractions. The area boasts of the largest wholesale rice market in north India, and has over 2,000 scientists working at a number of central government laboratories and research institutes. The city has Kalpana Chawla Medical College and hospital. The city is emerging as an education hub as it has a plethora of dental, engineering and management colleges. The city boasts of 10 research institutes like NDRI (National Dairy Research Institute), NBAGR (National Bureau of Animal Genetic Resources), Haryana Agriculture University, DWR (Directorate of Wheat Research), CSSRI (Central Soil Salinity Research), and Sugarcane Breeding Institute. Some of the prime Residential projects in Karnal are CHD Paradiso, CHD Karnal Business centre, CHD Spanish Meadows, etc. 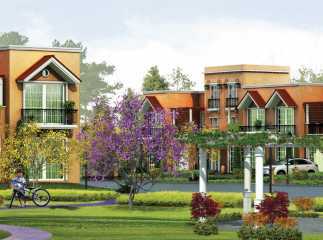 These new projects are filled with the latest luxury amenities and facilities for home buyers. The properties boast of swimming pool, club house, fully loaded gymnasium, kids’ play area, shopping complexes, indoor games area, outdoor games area, and much more to satisfy the needs of home buyers. The prices of property in Karnal are still much lesser than Delhi NCR which makes it an ideal investment destination that will give excellent returns over the next few years. The area will witness a boom in real estate prices in the long run!